From 2006 to 2010, more than 1 million patients went to the emergency department for diabetes-related foot complications, and 10.5 percent of those involved an amputation, according to a new study published in PLOS One. Despite the alarming rate of those who wind up in the hospital for this serious diabetes complication, only a small percentage of patients take preventive steps to avoid losing lower limbs. 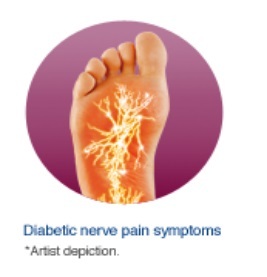 “If blood sugars are not well-controlled, [patients with diabetes] can develop numbness in their feet, which is called peripheral neuropathy,” says Dr. Katherine Raspovic, spokeswoman for the American Diabetes Association and a podiatric surgeon at MedStar Georgetown University Hospital and MedStar Washington Hospital Center in the District of Columbia. This proves dangerous if, say, you develop a blister or injure your foot, which can lead to infections or amputation. Get a checkup at least once per year. “What we’d recommend to anyone seeing their primary care specialist is that if you have diabetes, just knock your socks off. This will help direct the doctor or nurse to do a quick check of your feet,” says Dr. David G. Armstrong, director of the Southern Arizona Limb Salvage Alliance and professor of surgery at the University of Arizona. Your doctor will ask questions about your medical history; look for clear signs of discoloration, calluses and wounds; test your sensitivity to touch; and look for hot, red or swollen feet. You should also receive information on how to check your feet at home. If you haven’t lost sensation in your feet yet, that’s good. If you have, check between your toes and the soles of your feet daily to detect the beginning of any kind of problem, explains Dr. Robert Gabbay, chief medical officer at Joslin Diabetes Center in Boston. Ulcers start as calluses, he says. If you can’t reach your feet, consider using a mirror. “That’s how they typically begin — an ulcer that doesn’t heal gets infected and goes to the bone. At that point, amputation is the treatment. This can all be prevented by taking good care of your feet,” Gabbay says. Wash your feet daily, but do not soak them in hot water, Gabbay says. “This tends to dry them out more than anything and can lead to cracks or blisters,” he says. And always make sure your feet are dry, especially between the toes. He also recommends wearing supportive footwear to avoid calluses. If you have particularly dry skin, try using a cream or lotion — but not between the toes, Gabbay warns. It can lead to fungal infections. Also be mindful when trimming your toenails. “People who lose sensation can trim their nails and trim too aggressively because they don’t notice they’ve injured themselves,” he says. Raspovic adds to never walk barefoot. Try to wear shoes or slippers. If you have diabetes, but zero foot complications, you’re in luck. But don’t write off taking the necessary steps to avoid future problems. The best way to prevent diabetes-related foot complications is to manage your diabetes. That means keeping track of your blood glucose levels with a monitoring device, taking your medications as directed by your doctor, eating a balanced diet and maintaining regular checkups with your primary care doctor, endocrinologist or podiatrist. Samantha Costa is a Health + Wellness reporter at U.S. News. You can follow her on Twitter, connect with her on LinkedIn or email her at scosta@usnews.com.